Cottage cheese is the source of energy, protein and a favorite food item for many. Various combinations of cottage cheese can be worked out to get delicious dishes. Chanar dalna (cottage cheese dumplings curry) is a typical dish of Bengali origin. 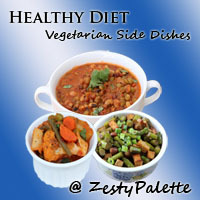 It was also the most common vegetarian food served if we had guests coming over who were vegetarian. Chanar dalna is a very popular dish and an inherent culture in the age old Bengali cuisine. During any festival / puja , chanar dalna is a must item. Chanar dalna is mainly served during religious occasions. It makes a very good combination with steaming rice or pulao. If you are a Bengali, don't forget to prepare in the next religious occasion. For all my food lover friend other than a Bengalee, please give it a try and understand why the Bengalis love this dish madly. I must say that before paneer was popularized in Bengal, this was very popular and a 'tongue licking affair' with many. Try something different, try chanar dalna on an auspicious moment. Full cream milk - 2lts. Bay Leaf - 2 nos. Boil 2 lts. milk in a container and during the process of boiling add lime juice so that the cheese separates from the milk . You may separate the cheese with the help of a strainer. Allow the strainer to stand for a while so that the cheese solidifies. Add salt, half of sugar, a pinch of turmeric powder in the solidified cottage cheese mashed and make a dough with the help of your hands. Care should be taken that the dough becomes manageable and soft. The water content should be less in order to make the dough an effective one. Use your hand to make rounded dumplings. The texture of the dumplings should be firm. Heat oil in a container and release the dumplings in it. Fry till the dumplings turn golden brownish in color. Fry the rest of the dumplings in the same process. Care should be taken while frying the dumplings , so that it doesn't break in between. In a pressure cooker boiled potato. Keep aside. Heat ghee in a kadai, add bay leaves and cumin seeds, when seeds splutter, then add chopped tomato, cook until it smashy. Add turmeric, chilli, coriander, cumin , garam masala powder, salt and sugar, mix well. Now add 1 cups of water to make a gravy. Add salt as per taste. Cook for 5 minutes and the release the fried cottage cheese dumplings in it. The dumplings are very delicate and should not be boiled for a longer time in order to avoid breakage. Garnish with green chillies and remove the content in a serving bowl. It's time to enjoy this traditional delicacy of Bengal.